Are you on LinkedIn but don’t really know how to use it, or feel it won’t work for you? What about Facebook? Have you tried it to market your business, but it just seemed a lot of updates that nobody “liked”? Or maybe all the talk about Facebook changes and its poor showing in the stock market has put you off? It all seems easier to do nothing than to get sucked into this social media chatter. Learn Facebook and LinkedIn in a one day. It is easier if you don’t want to advance your career or make your business grow. You can continue to go to networking events where you collect more business cards and spend more time standing around hoping to connect with the right people. You can ignore Facebook, where people are probably already talking about you while your competitors are updating their statuses on their fan pages. Clearly, Facebook and LinkedIn are not just trivial pursuits. Like it or not. This is a digital world where your customers are more connected than you may think. In fact, Canadians continue to lead the world in engaging online. According to the latest comScore statistics, Canadians spend 41 hours per month online and view an average of 3,731 pages per visitor per month. Those are hard statistics. 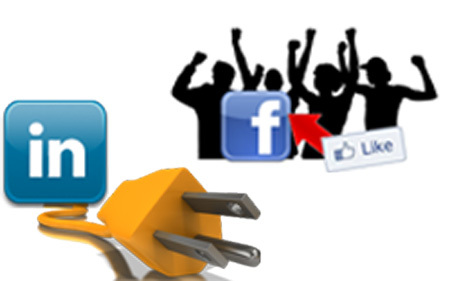 What’s more for the 4th quarter in 2012, Canadian usage of Facebook was up 8% and LinkedIn 38%. Online word of mouth is faster than a village full of gossips. 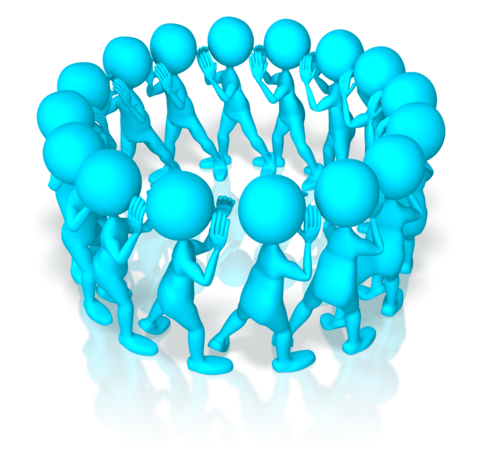 Online word of mouth is growing and spreading faster than a village full of gossips. Professionals and companies are matching up and making deals through their LinkedIn connections. While people on Facebook are checking out the latest discounts, likes and comments shared by their friends and the companies they follow. Nielsen’s The Social Media Report 2012 confirms that 70% of social media users participate to find out what their friends and family are doing, but Nielsen also found that 65% look for information about brands, products and services; 53% compliment brands; 50% express concerns or expect problems solved and 47% share money incentives offered by these companies. That’s a lot of word of mouth among those they trust the most. Did I say that the latest Forrester Research reported in Mashable today found that 70% trust recommendations by friends online? So it’s up to you to harness this word of mouth and put some strategy behind your online presence. Nor is it just people talking. A Facebook page gives businesses plenty of ways to not only develop relationships with customers, but also to market their products and services. There are a number of free and low-cost ways to reach more leads and develop more customers. Sure, Facebook ads cost. But because Facebook knows so much about its members and their buying habits, you can easily run highly targeted ads and promotions and spend as little as $5 a day. In fact, Facebook ad costs per click have dropped to record lows. Do they work? Yes they can. We’ve certainly had success with promoted post and regular marketplace ads with some higher click-through rates than the average rate for banner ads. Mashable’s report on that same Forrester Research also noted that at least one Facebook partner found that Facebook’s Sponsored Stories, which are based on friends’ brand recommendations, were also much more effective than the regular marketplace ads. You may not see quite the same results as the preliminary findings reported by Facebook yesterday at the Advertising Research Foundation’s Re:think conference in New York that in one large study advertising on Facebook provided a “22% lift in ROI”. But used well, you can develop stronger customer relationships that lead to more sales than traditional offline marketing. Make connections and get referrals. LinkedIn is more than a popularity contest for male professionals. (Yes. The statistics do show men dominate LinkedIn 67% to women’s 37%.) 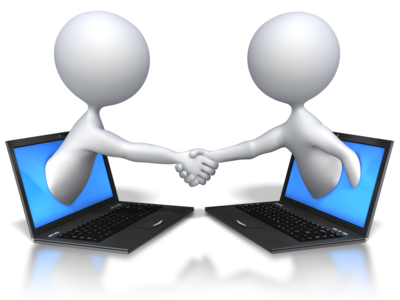 It’s the site where professionals not only connect, but help each other find the right contacts for doing business. LinkedIn, though, goes beyond the “likes”, contests, special offers, events, shared content and inspirational edutainment of Facebook. Instead it concentrates on creating an environment for credible business information, referrals and recruiting. PunchMedia found that 87% of 1900 members surveyed in May 2012 trust LinkedIn “as a source of information for decision making”. The new skills “endorsements” and other features LinkedIn has introduced are also making it easier for professionals to showcase their talents, get found and connect with possible clients, business associates and, if you are looking for career advancement, a new employer. Sign up today for Triskele Consulting’s hands-on intensive Spring Social Media Workshops Special on Wednesday, April 3 and put social to work for you. This entry was posted in Facebook, LinkedIn, Social Media Workshops and tagged Facebook, LinkedIn, Social Media Workshops. Bookmark the permalink.